If you love someone you have to be jealous. Just for a little bit. It’s impossible that you don’t feel this when you are deeply in love with someone. Or at least this is what most of us think. If we ask 20 people what they think about jealousy in a couple we will probably have 20 different opinions regarding this topic. 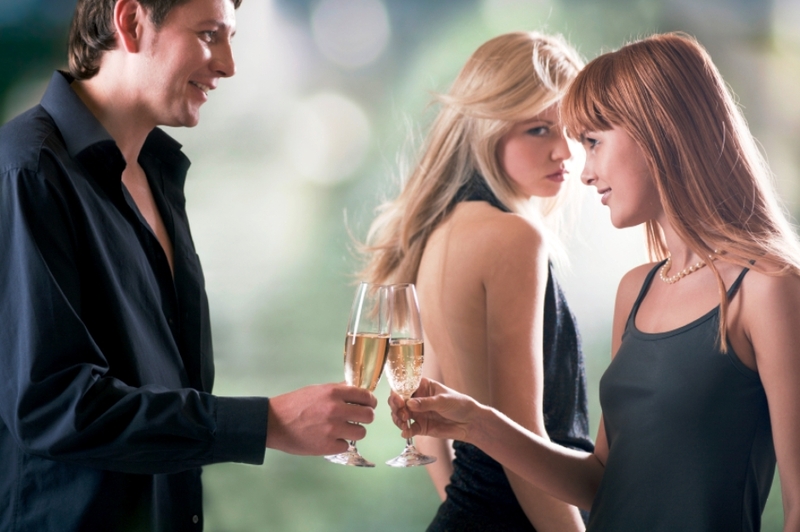 There are so many type of people that never felt it or so they say, those that are just a little bit like in the case when you are at the club and you see how the man next to your girlfriend is trying to flirt with her or there are the worst cases where jealousy can became even a disease. A little dose never hurts, if you ask me. People that said that never experienced that feeling are those ones that are so sure on their half as they don’t need to feel that way. If the one that stands by you assure us that you don’t have to be jealous and every time shows you that no one else matters except you than you probably are very lucky and you don’t have what to worry about. In other cases sometimes the lack of jealousy may be confused with indifference or disinterest for your other half. If you aren’t the jealous type, sometimes if you see someone flirt with your love, in your eyes it will be like a proud moment that you have something that other would want but she is all your, but for her may not be the same. So, from here and there, you might make a little scene so that she sees that you really care and you don’t like the idea that someone else tries to hit on her. And there is the worst case of jealous people that no matter how deep is the love, a flirt can provoke a disaster. Jealousy is a constructive feeling if it exists in normal limits. But there are those kind of people that they don’t ever accept like their half to speak with someone of another gender or worst to spend time with her lady friends. We’ve seen lots of cases even on TV about relationships that had a tragic ending because of guys like this that they couldn’t face their outs and took revenge on the person they cherish the most. For these kind of people we can’t even talk about the idea of flirt with someone, because definitely things will take a wrong turn. The problem with jealous people is that you can’t really identify them right from the beginning. There are some that show this side of them right from the start or those that know that this is how they are and let you know it. Sometimes, maybe even they don’t know that are the jealous type until love can transform them into someone of that kind. We can find hundreds of reasons for a man or a woman to be jealous. What type your date will turn out to be, each one of you will get to see at a certain point in your relationship. You just have to take the right decision when the moment comes, if you don’t like what you see.